Advances in remote sensing techniques and earth system modelling have led to the increased use of earth observation and models in earth and environmental sciences. In particular, the world is suffering significant environmental changes such as hydro-climatic extremes, sea level rise, melting glaciers and ice caps and forest fires. The earth observations and earth system models provide valuable insight into climate variability and environmental change. 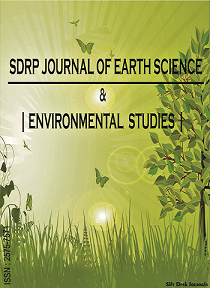 Meanwhile, the question on how to derive and present uncertainties in earth observations and model simulations has gained enormous attention among communities in the earth and environmental sciences. However, quantification of uncertainties in satellite-based data products and model simulations is still a challenging task. Various approaches have been proposed within the community to tackle the validation problem for satellite-based data products and model simulations. These progress include theory advancement, mathematics, methodologies, techniques, communication of uncertainty and traceability. The aim of this Research Topic is to summarize current state-of-the-art in uncertainty quantification and utilization for satellite-based earth observations and earth system models.